Comsof, the leader in automated fiber network planning and design software is expanding its Toronto office and hiring new engineers. “We need the extra space and talent to support our growing client base”, explains Kevin Wynne, Manager of Comsof Americas. Synacor today announced its advanced Cloud ID identity management and authentication platform has been selected by ETI Software Solutions as its reference platform to support streaming media deployments for all its telecom, cable and broadband operators. On August 3, 2018, the FCC adopted new One-Touch-Make-Ready rules as part of efforts taken to lower barriers to pole attachments and propel fiber broadband deployment nationwide. 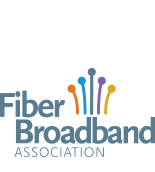 Today the FBA filed an opposition to a request by a coalition of utilities seeking to have the FCC reconsider.